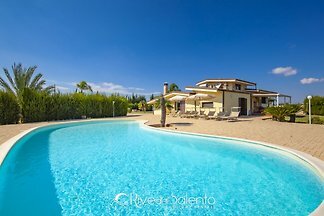 With its 6 beds + 4, heated pool, tennis, badminton, darts, archery and garden, Villa Edda is an optimal solution for families, couples and friends. 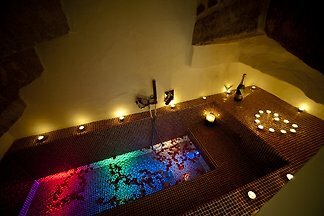 Charming relax in old Salentine Trullo with modern comfort (4/5 people). 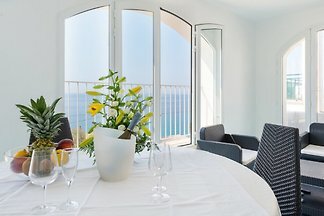 Wonderful views of the sea of Pescoluse. 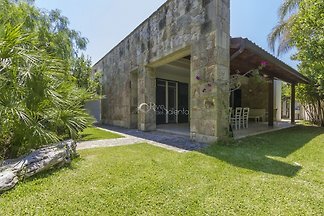 Quiet and airy environment surrounded by nature. 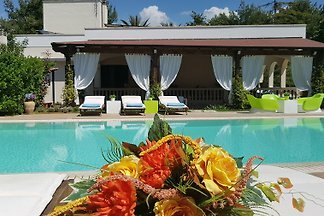 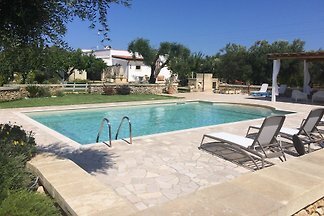 The family-friendly property is located in the beautiful resort of La Masseria, Gallipoli. 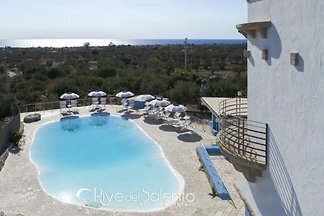 Gallipoli is located in the heel of Italy, better known in this area Lecce. 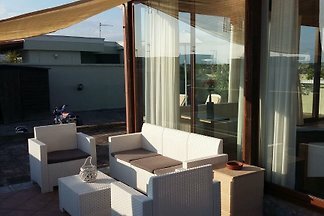 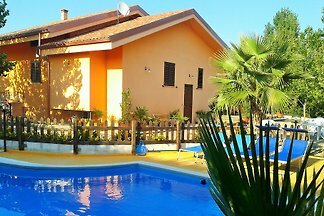 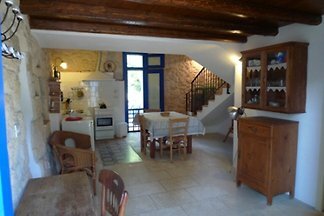 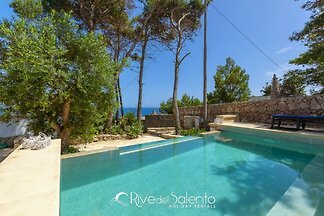 New comfortable cottage in Salento - Puglia - Southern Italy with 11 beds . 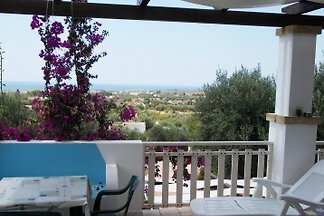 Big shaded terrace with stunning panoramic views of the sea. 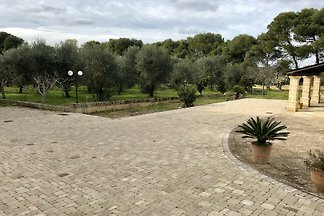 Quiet location, much relaxation . 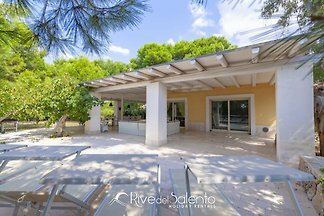 The Villa Blumare with sea views located in the Natural Park. 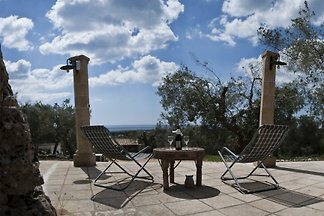 Overlooking the turquoise sea and enjoy the rest among the olive trees or relax by the pool. 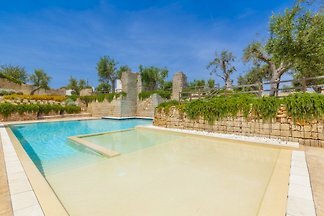 Unique scenery! 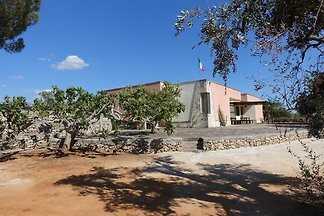 A few meters from the sea 4 bedrooms, 2 living areas, 2 bathrooms in the Regional Natural Park of Sant'Andrea Island and Punta Pizzo coast. 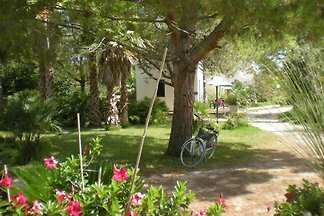 Holiday stone house in Puglia, with 2 bedrooms, ideal for up to 5 P. Large Mediterranean garden. 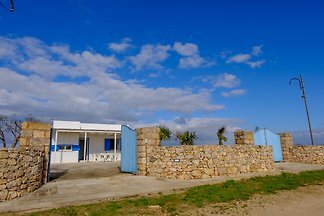 Otranto and the sea 13km. 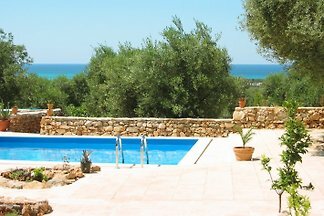 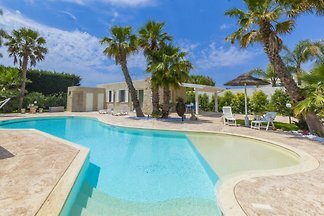 The Villa Palma with sea views is beautifully located with a large garden and olive grove, just km from the sea with beautiful sandy beach. 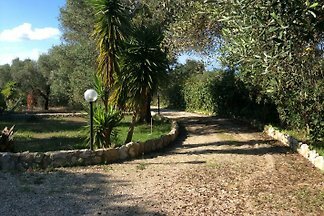 Studio apartment 4 sleeps is located in the Cava Li Santi Residence in Santa Caterina - Nardò, a few kilometers from Gallipoli and its beaches. 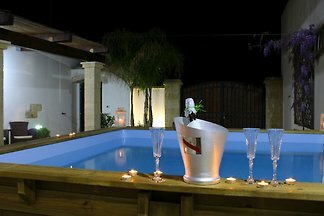 from 5 9 holiday homes & accommodations in Lecce & surrounding area were rated with an average of 4.8 out of 5 stars ! 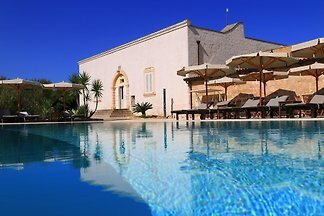 Rent successfully your holiday flat or holiday home in Lecce & surrounding area in only 20 minutes !